As a practicing attorney, I am increasingly disturbed and dismayed by the misleading information which is being disseminated in our mail and in our newspapers regarding living trusts. The pitch of these communications is that by using a living trust; one can avoid probate costs. The solicitations imply that you save taxes; that any creditors are automatically disposed of; public filing and that the process of probate is time consuming and most importantly, that with a trust, things happen automatically without engaging a lawyer. The truth is that probate fees are negligible; if they are $400.00, they are high. Such a trust does not save any inheritance or estate taxes. Those taxes are the same with a Will. 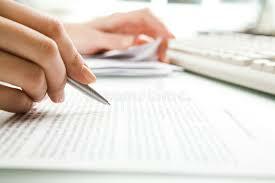 The truth is that whether you have a Will or a Trust, your creditors need to be paid. The truth is that since one must file an inheritance tax return, the public has access to the information in it. The truth is that frequently the most time-consuming part of settling an estate is filing the inheritance tax return and waiting for its approval by the Department of Revenue, and the time for accomplishing this is precisely the same whether there is a Will or a Trust. In addition, the transfer or sale of assets out of a trust is no less complicated and requires no less time and skill than the transfer and sale of assets out of an estate. If you decide to use a living trust, you need to be sure that title to all your assets, stocks bonds, certificates of deposit, mutual funds, automobiles and even your home are in its name, so one executes transfer papers for all these assets. Then when you die, all these assets do not automatically transfer themselves out of the trust for sale or distribution, but must be transferred by proper legal documents for sale or distribution. Further, if you forget to re-title any one or more assets into the trust, or, more likely, if, after you have signed the trust document, you acquire a mutual fund or certificate of deposit or a car or a home and do not title it in the name of the trust, then when you die, your heirs have to contend with settling your trust and probating your Will because the trust is not longer all-inclusive. In short, disposing of your estate by a living trust requires no less skill and legal assistance than settling by the traditional probate method. Indeed, it can be more complicated if you have a trust which does not include all, and I mean all of your assets. One has to wonder, why it is that these solicitations to “sell” living trusts are coming to us from outside the community. We are receiving them from Reading, King of Prussia and Harrisburg. Most attorneys in our local area are well equipped and able to prepare a living trust. Trusts are not magic documents, although they require skill and care, as do Wills and other documents intended to be legally effective. I am further disturbed when I hear the charges that are being made by these people to prepare the trust documents. Most attorneys in this area who do estate planning are well able to prepare a living trust if they are of the opinion that it is in the client’s best interest to do so and I’d wager that few, if any, charge $2,000.00. To be sure, living trusts have a place in the attorney’s toolbox and in certain circumstances they are very useful in estate planning. However, one size does not fit all and in many estate plans, they are an unnecessary and expensive tool. The point of all this is: before you jump into the living trust arena, talk to a lawyer you know and trust and see what he or she thinks.